News and Notes: Early Autumn Morning.. Autumn is my favorite season. After the first couple of frosts the bugs are pretty much gone. Well not altogether but it’s nice out in the evenings without any of the little buggers biting me. Life on the high plains has been crazy busy as usual, with a few twists added in. We just had an influx of over 40 rescue dogs. No they are not available for adoption at this point. We are still cleaning the poor little dogs up. Nasty case of fleas there. We are winning that battle though. Good by fleas. Sorry I haven’t kept up with the newsletters. Between taking care of my kennels, working with the rescues, getting the Pomeranians ready for winter. (Want to come haul straw anyone…lol…) I’ve been running pretty short of time, not to mention energy. We have some absolutely beautiful pom puppies too… wow… they are simply a pleasure to look at. Been working on some remodeling on our main site too. I soooo need to take some puppy photos. Yes I'm working on it. My kennel workout is working on the weight loss front. I’ve lost another 3 pounds! Yay! That makes 21 pounds down so far. I have been making use of the Forte Diet from New Vision as well. Tastes pretty good, and makes a quick meal. Frankly unless my husband is home I am not taking the time to cook. With that said it’s important to keep my nutritional levels where they need to be to keep up with my busy life. I am very pleased with the results I’m getting. Good energy levels, not feeling so tired and drug out. Actually feeling good. 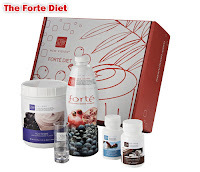 Check it out… If I can lose weight using this so can you! It's pretty exciting to me watching the pounds roll off. Feeling good while losing weight is a much appreciated added bonus! For those of you with business on your minds. This is an excellent business opportunity! Take a look, it can add an additional stream of income to your business portfolio. Or if you are just starting in the home business arena it is an excellent opportunity to launch yourself into financial freedom! P.S. Leisure Audio Books is Doing Great... It's one of the most effective and lucrative porgrams online! If you are not a member already, you can join here!